Today was my first day back. After a half day of staff meetings and a half day work day I’m back in the groove (well, kindof anyway). I love that we have a few days to catch our breathe before the kiddos come back. Waking up before 9 is always a bit of a shock to my system. It’s nice to be able to sit and sip my coffee rather than wrangle kittens. I am excited to start wrangling again next Wednesday though. The days always FLY when the kids return. I love thinking of myself as a cat wrangler of sorts. (If you’ve never seen the cat wrangling video you should click here). To celebrate my return to the classroom all my items at Teachers Notebook will be 20% off today through Saturday the 11th. Follow this link or click on the picture below. Teachers Pay Teachers is having their big back to school sale this Sunday and Monday. Don’t miss it! Not only are tons of sellers (including me — 20% off all my stuff!) discounting their own products, but there is an additional 10% off if you use the code BTS12 at checkout (don’t forget to use it!). I currently have 92 products in my cart and am so excited to jumpstart my year with some new ideas. I hope you find some exciting stuff too! 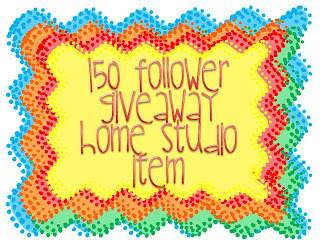 Rikki at The Hive is having a 150 follower giveaway. Go check out the cute tiles up for grabs! There are so many darling ones! One more thing. The $17 for $70 Vistaprint groupon popped up again this week. I used this for my first Vistaprint order and got tons of stuff for only $29. This Groupon is a little tricky as you really want to spend over $90 to get free shipping. That means you end up spending $17 for the Groupon and about $20 additional to get free shipping after the $70. I thought it was well worth it. I got 200 small magnets, 2 small banners, 1 car door magnet, 10 flat invitations, 3 spiral notebooks and 250 business cards for $29 plus the cost of the Groupon. It doesn’t matter where you live. You can get this Groupon anywhere. You don’t have to live in Denver. Just click here or on one of the pictures of the fun stuff I made below. Be quick if you want it. It’s only available for one more day. Thank you to Katie at Dirty Hands and Lesson Plans for introducing me to Vista Print. I got almost all of my ideas from her! Previous Post: « Back to School Art Project Plus Lots of Great Giveaways!